I’m a sucker for beautiful books. Case and point, I have mountains and mountains of beautifully photographed cookbooks in my kitchen with no intention of culling or decreasing the speed of which I acquire new ones. A few months ago we bought a coffee table and I’ve spent more time than I care to admit thinking about what books should be displayed as the focal point of my living room. Since travel is very much the center of our life, I knew I wanted to incorporate that particular theme anywhere I could. The Bucket List, as the name suggests, is literally a list of 1,000 things to do on planet earth. The adventures are large and small, remote and close to home – wherever home is. Each adventure is accompanied by beautiful photography and a short write-up of the activity. 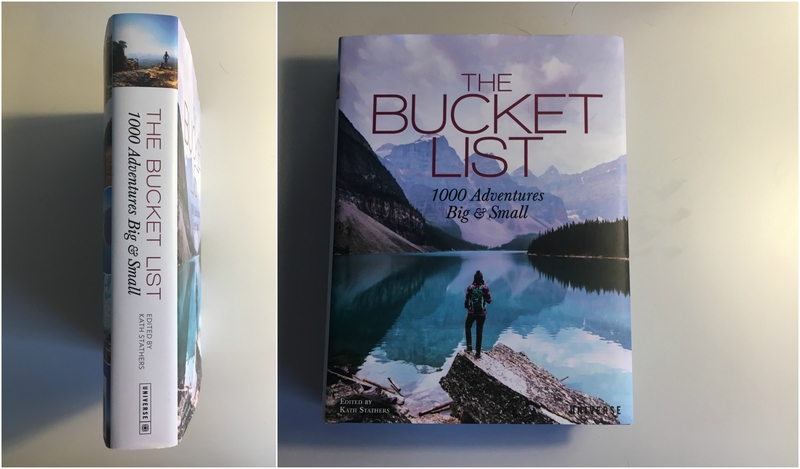 It’s the perfect gift for any travel enthusiast or lover of photography. It also has practical use in that it serves and a good jumping off point for planning a trip. All the highest of the high points are listed for each country somewhere through the nearly 500 pages. 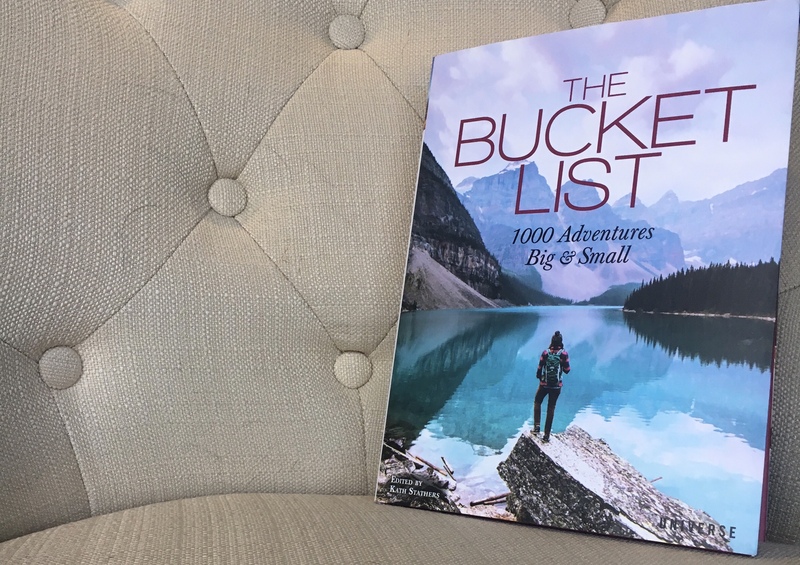 The editors of The Bucket List have also color-coded the adventures based on what you’re looking for. The categories include wildlife encounters, epic journeys, learning a new skill, cultural discoveries, and micro adventures just to name a few. It’s very easy to customize your search by simply looking for certain colors. One thing about this book that is a little odd is the layout. Instead of breaking the world into regions, countries, or continents, it subdivides it’s contents into latitude. This creative division has me torn. Part of me likes the innovative idea. On the other hand it becomes a bit annoying when a country is split into two or more sections. Also, the organization within the section is by latitude as well. So in the section with Europe, for example, you can easily have chronological adventures go like this: France, Italy, France, France, Italy, Monaco, Monaco, Italy. Obviously this can be avoided by a quick search of the index which is organized by country. Also the adventures are separated in an obviously way so it’s not extremely cumbersome to read through more than you intended. So the question remains, do I recommend this book? Well: Coffee table appeal? Check. Travel is the subject? Check. Stunning photos? Check. A must have for any traveler or photographer? Absolutely.